The holidays are coming. What better present than a book? You can purchase The Throne in the Heart of the Sea and The Stars in their Courses in three ways: if you live in Portland, you can go to St. Johns Booksellers. Both books are also available through the publisher’s website, www.ebisupublications.com. And if you prefer to read that way, they are now available on Kindle—thanks to technical help from Sylvia Allen! 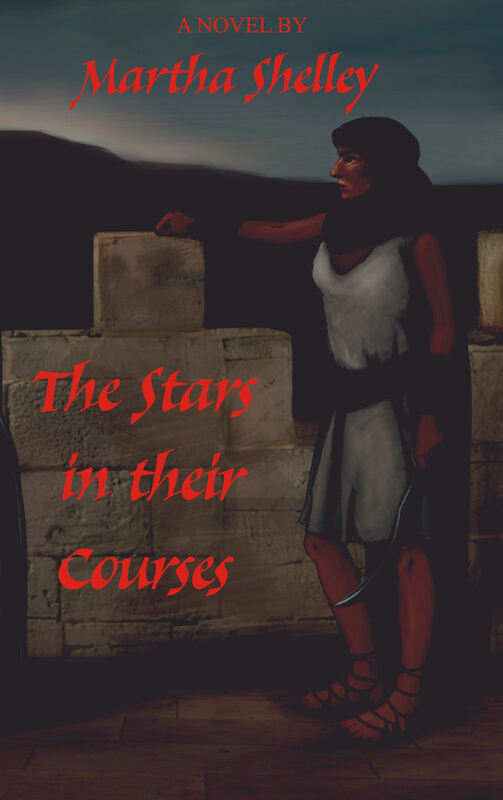 2) I received The Stars in their Courses as a gift and it was a while before I picked it up and started reading. What I discovered right away is that, while I had not yet read the first novel in the series, Martha provides just enough background that I was able to connect with the characters and understand and enjoy them even without having read the first book. Initially my favorite character was Jezebel—which is surprising for me. As the novel progressed I began to appreciate the authenticity Bez brings to the story and she became the character I identify with the most. I don’t want to give away the ending, but let me just say that I am eagerly awaiting the third book in this series. Martha does leave the reader wanting more. In the meantime, I will be ordering the first book because I want to learn the details of how these characters, some of them historical figures, got to the place I found them in The Stars in their Courses. 3) The Stars in their Courses, the second book in Martha Shelley’s historical trilogy, is every bit as superb as the first. The first, The Throne in the Heart of the Sea, takes us into the 9th century BCE world of her four major characters. We follow the training of Tamar, a would-be physician. We get to know Bez, the palace guard, Tamar’s protector and friend. We understand the fears and longings of young Princess Jezebel, about to become Queen of Israel. And we walk along with Elijah the prophet, lost, scared, powerful, distrustful and distrusting. The adventures and misadventures of these four people are embedded in a rich tapestry of 9th century life. Martha Shelley is one of the authors and owners of Ebisu Publications. She is a long-time political activist from Brooklyn. After the Stonewall Riot, she organized a protest march that morphed into today’s gay pride parades, and was one of the founders of the Gay Liberation Front. Her essays, poetry, and short stories have appeared in many anthologies. She has published three books of poetry, Crossing the DMZ, Lovers and Mothers, and Haggadah; as well as two novels, The Throne in the Heart of the Sea and The Stars in Their Courses. She now lives in Portland, OR, and is passionate about social justice, dancing, and mango mousse cake.